San San Lwin is a refugee from Myanmar (also known as Burma) who escaped to Thailand before arriving in America with her husband and 5 month old daughter in 2005. She now works as a housekeeper in the Kenan living community on UNC-Chapel Hill’s campus, and lives in a Habitat for Humanity house with her husband and two daughters. Lwin finishes cleaning in the Kenan living community. 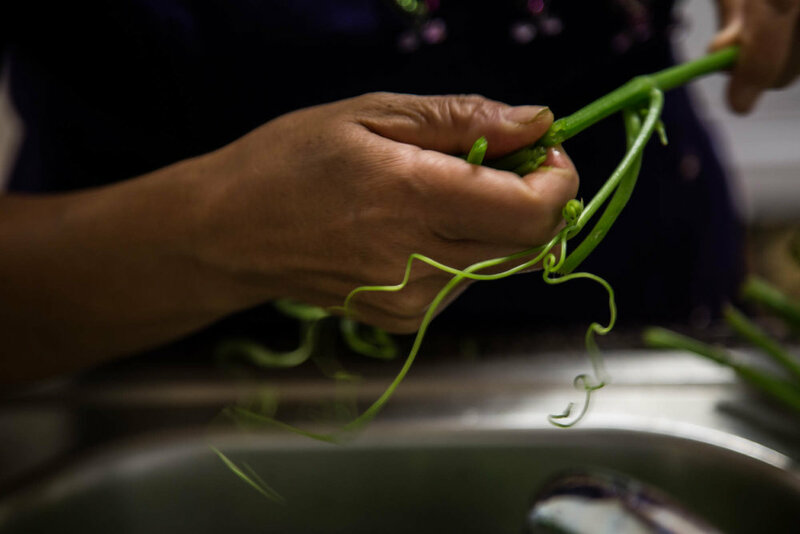 Recently, extended family has immigrated from Myanmar into her house in Chapel Hill, leading to more family time and traditions. “I will teach my daughters how to cook in a couple of years,” she said. “They are too young now. Lwin has a special connection to McIver residence hall, because she loves the building and how she knows how clean it is. She also struggles with health issues, specifically low iron in her blood, which makes it difficult to clean other dorms that don’t have elevators. Lwin works hard, picking up many overtime shifts at sports matches and cleaning residence halls outside of the Kenan community. Lwin calls in her elder daughter, Shun Le Win, 12, from her room to speak to her in Burmese. “My older daughter is learning the violin. She’s great, she’s good,” she said. Both San San and Shun are now U.S. citizens. 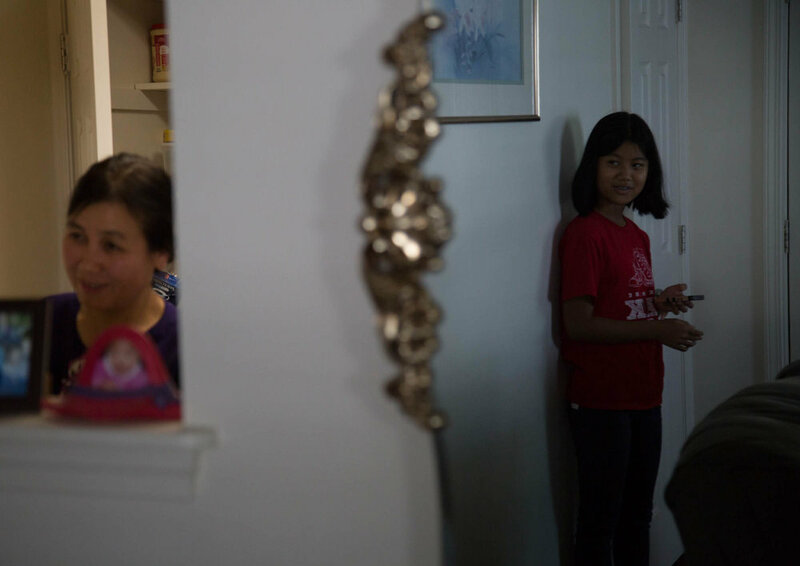 Her younger daughter, May Thu Win, 10, is an American citizen by birth. “We had to memorize the answers to 100 questions, and they asked us 6,” Lwin said of the process of getting her citizenship. 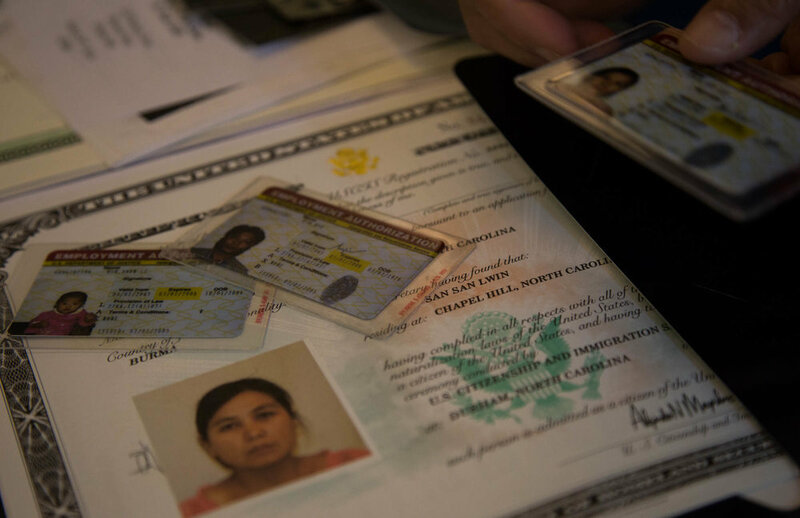 “It was more expensive for my daughter.” Her husband has his green card. Lwin reminisces on her time in Myanmar and then Thailand. “One day I would like to go back to visit,” she said. She misses her family that was left behind, despite frequent phono calls and conversations with them. She is saving up the money to go visit with the rest of her family.